I’m so excited to start sharing the wedding details with you guys! The entire weekend, from the rehearsal dinner Thursday night until the farewell brunch on Sunday was truly magical & SO much fun. I couldn’t have imagined it being any better. As many of you know, the wedding was in Pigeon Forge, TN. 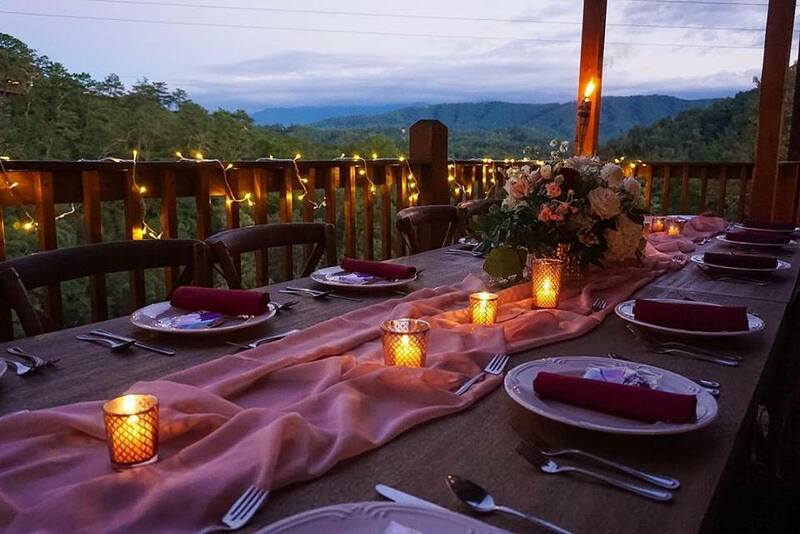 We chose Pigeon Forge because we wanted to have a destination wedding in the mountains where our family & friends could relax, explore, & enjoy a weekend vacation. The wedding party & majority of our family & friends stayed at Parkside Resort, down the road from our venue. We rented about 8-10 cabins, all walking distance to one another within the resort. The cabins are adorable & luxurious, each with hot tubs, theaters & game rooms. 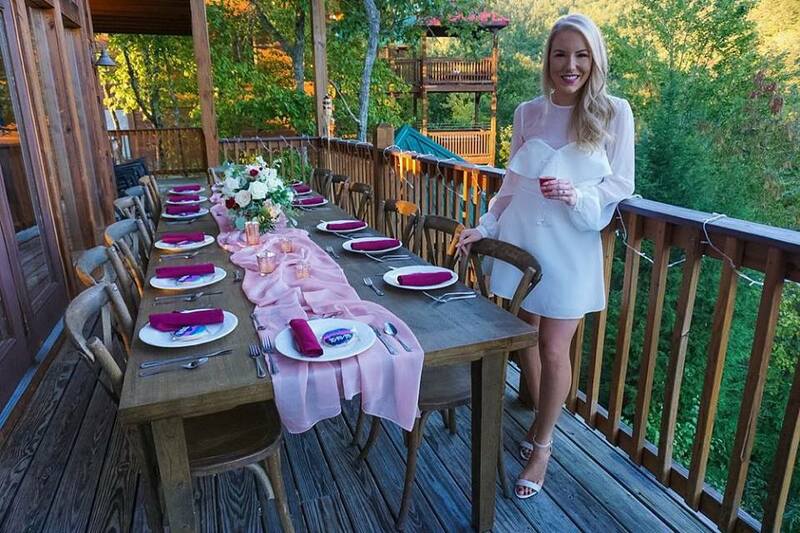 Wedding weekend kicked off on Thursday night with our rehearsal dinner at Valley View-tiful cabin. We actually did our rehearsal early Friday morning at the venue but the dinner was the night before. Our entire wedding weekend was catered by Rosa’s Catering, starting with the rehearsal. We had a charcuterie spread, then paella (one with chicken & sausage, one with shrimp), & salad for dinner, & chocolate chip cookies for dessert. The favors were sugar cookies with watercolor mountains & our wedding date (10.13.18). The farm tables were set up on the two balconies, overlooking the mountains. It was a beautiful night & the perfect way to kick off the weekend.